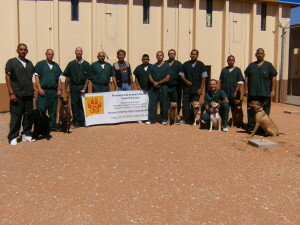 ACTion Programs for Animals (APA) is the new partner of the Southern New Mexico P.A.W.S. (Prisoners and Animals Working toward Success) program. The program provides education and life skills for both inmates and rescue dogs, resulting in permanent, loving and caring homes for the dogs and teaching inmates to become productive citizens with patience, compassion and understanding of others. P.A.W.S. 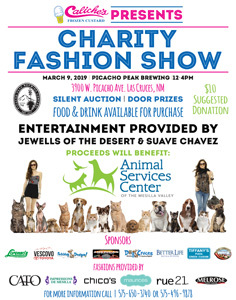 is made possible through the New Mexico Corrections Department (NMCD)’s partnership with APA, which rescues most of their dogs from the municipal shelter. APA provides adoptable rescue dogs to the prison, where they live with inmates full-time. Dogs are trained by inmates in basic obedience and manners for a period of approximately eight weeks. 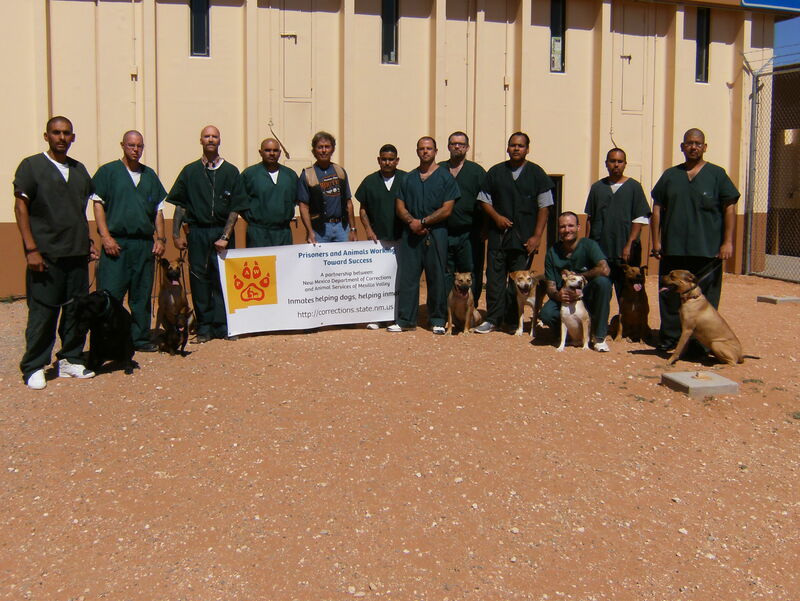 Upon successful completion of training, dogs are transferred back to APA for adoption, and new dogs needing training at the prison take their place. APA and P.A.W.S. are funded strictly through donations from citizens, grants, and fundraisers held locally. Prison dog programs are becoming more and more prevalent across the country. This program is a true commitment to recidivism reduction by NMCD and will help reduce our high kill rates for sheltered dogs in Dona Ana County. It’s a win-win for everyone, and APA is proud to be a part of the program. They are looking for community support in not only donations but foster homes for the graduated dogs as well. 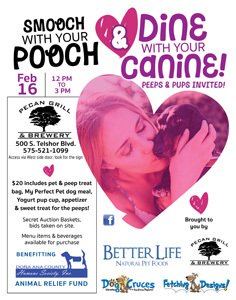 The program’s trainer will work with fosters on keeping up the dogs’ obedience training, good behavior on leash, etc. For more information, contact the P.A.W.S. 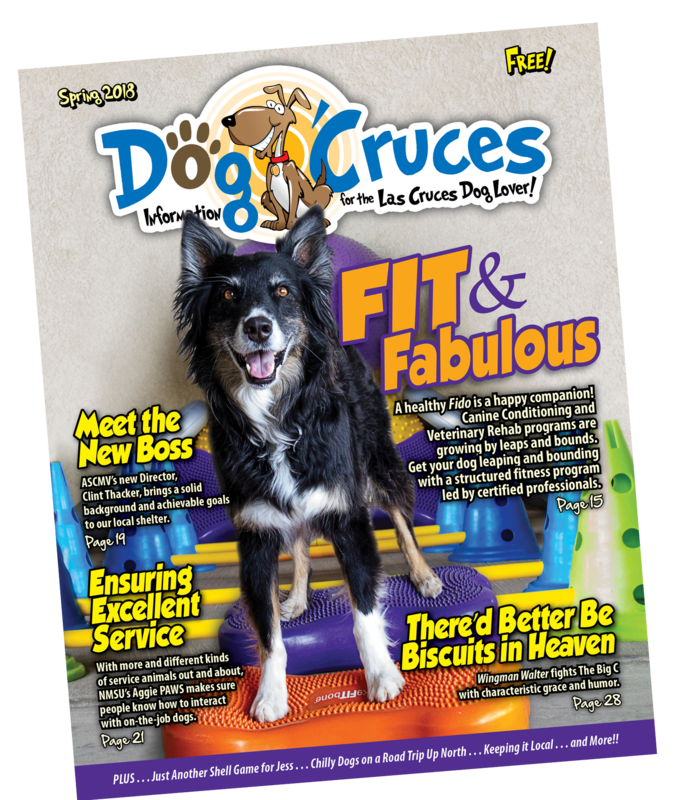 program lead at 575-647-9934 or Renee.Waskiewicz@state.nm.us, and visit their website at http://cd.nm.gov/apd/snmcf_paws.html. Or, contact APA at 575-644-0505, visit the organization online at www.actionprogramsforanimals.org or on Facebook at www.facebook.com/APALasCruces and www.facebook.com/DonaAnaPetsAlive.